As someone that makes a living behind the wheel of a working dump truck. Time is money as they say. My truck and I depend on each other to make a living. That’s why I chose the CAT CT660. The CT660 was built with the driver in mind. What we need to get the job done! Tough enough to take a beating and still want more. The fine folks at CAT got it right. New cutting edge designs with drivers who feel like they were part of the new design process. When you get behind the wheel of a new Caterpillar CT660 you just know. One of the key features we took into consideration was the modular design. If our truck does need service, our down time is reduced dramatically with easier access to key components. Also with the sloped hood, I can actually see when I am in tight spots trying to move the truck into place. This feature has also reached our fuel pocketbook with a more aerodynamic design we get better fuel MPG. With maneuverability, our CAT gets us around the job site with ease. Better turning radius than its competitors helped us decide what to buy. I can get into much tighter fits with greater ease on the job site. Less time maneuvering means more time delivering material that equals money. In our line of work, our trucks need to be moving material not jockeying around trying to fit the truck on site. When CAT designed the interior they had my back in mind. The truck is much more comfortable with easier to reach controls. I am less fatigued at the end of a hard day. It’s much safer as the controls are easier to access and see. This gives me a much greater sense of control for a safe work environment for co-workers that are working around my truck. On the road, I get that same sense that I am in complete control of my rig. Gets me home safe to my family! Our team considered several trucks before choosing the CAT. The Mack Granite series was in the running. The problems we had were from a service perspective. Our jobs can crop up anywhere. With the Mack, you have service centers that work only for this series engine in the Mack. I don’t have time to drive longer distances for service work. Mack is a legendary brand and a heck of a truck. 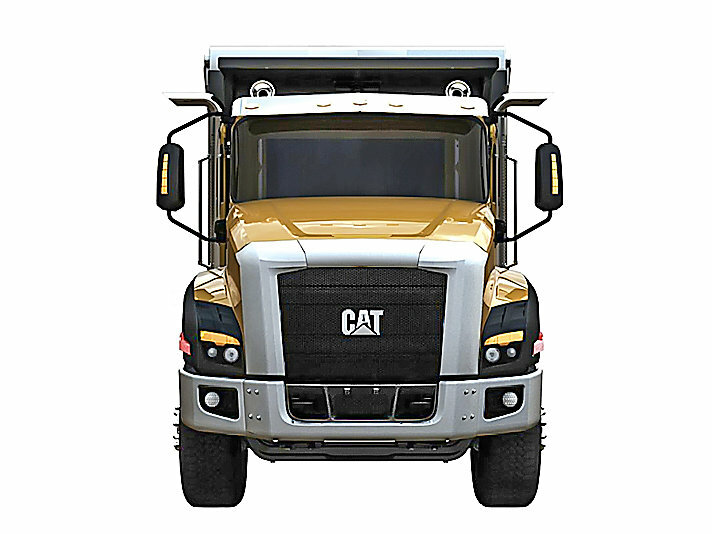 We just felt the CAT offered a stronger truck with more service and maintenance availability. The CAT seemed to be the obvious choice for us because of all the new design features. It was new to the marketplace at the time we purchased. However, we trusted the CAT brand and after seeing the truck in action we were sold. Driver shortages that are already hurting trucking companies could worsen as lawmakers propose new regulations that analysts say would exacerbate the problem. With unemployment low and many older truckers retiring, finding qualified drivers has become an industry challenge. Regulations that would require extensive commercial driver training and limit hours of operation – thereby increasing drivers’ time away from home – will only make things worse, industry analysts said. But they also acknowledge that limiting drivers to fewer continuous hours on the road and increasing their training would make the roads safer, something that also improves the industry’s image. Driver shortages affect more than just trucking companies, said Noël Perry, a trucking industry analyst at FTR Transportation Intelligence. Because transportation firms will likely have to pay more for training, wages and the procurement of trucks and trailers necessary to haul cargo, they’ll have to raise rates. One proposal, which calls for increasing the hours of training that entry-level drivers will need to obtain a commercial driver’s license, will cost as much as $5.6 billion over 10 years, the Federal Motor Carrier Safety Administration said in a March Federal Register report. Retailers and manufacturing companies that rely on truck shipments to keep their businesses operating will pay the increased costs — and likely pass the rate hikes on to their customers. The industry is challenged by another requirement that drivers electronically, rather than manually, log their driving activity, which may put a crimp in productivity by forcing them to rest more often. Log books have always been a part of truck driving. But by requiring electronic logging devices, or ELDs, regulators can more accurately gauge how long drivers have been on the road. Although newer drivers aren’t opposed to ELDs, veteran drivers who’ve scarcely been monitored for decades are pushing back, said Dan Costello, the senior vice president for sales and marketing at TransForce Inc., which touts itself as the nation’s biggest supplier of staffing and support for trucking companies. As older drivers retire or change career paths, the onus is on companies to find qualified employees to fill cabs, something proving difficult. Another proposal that could cut shipping productivity would require each new driver to have 30 hours of supervised time behind the wheel. That presents an impediment to hiring because of cost and lack of qualified instruction companies, Perry said. Driver-training companies can train about 125,000 students annually, which likely isn’t enough to supply the number of new drivers needed each year, Perry said. If that rule is implemented, he said, the shortage will only get worse. The solution to the driver shortage is reducing regulation rather than increasing the number of laws governing the trucking industry, said Costello of TransForce. As it stands, the law says only those 21 and over can operate a Class A vehicle. Getting rid of that regulation and allowing those 18 and over to drive would make a serious dent in the shortage, he said. If trucking companies can capture a subset of 18-year-olds straight out of high school, there’s a better chance they’ll become lifelong drivers, industry veterans say. The American Trucking Associations safety board has discussed lobbying lawmakers to allow 18-year- olds to drive Class A vehicles to help ease the shortage, Costello said. He said developing a truck driving vocation program might be helpful in guiding high school graduates into the industry. However, Costello conceded that having 18-year-olds driving an 80,000-pound load isn’t without its risks, and said insurance companies would raise concerns if it were to happen. There’s always another solution. The industry could pay higher wages, he said. By far, one of our favorite events of the year surprisingly isn’t even a diesel specific event, its actually originally intended as a “Jeep only” event: Easter Jeep Safari in Moab, Utah. Fortunately for us, not only do we have a passion for Jeeps, but there are also several expeditions during EJS specifically tailored for full size pickups. Because of this, and our love of offroading, EJS is a perfect time for us to get out, have some fun, and test many of the products we sell. EJS 2016 is now well under way, and the hills of Moab are packed with offroaders of all kinds, including a few of the Diesel Power Products crew and several of our vehicles. One of the vehicles we have equipped to handle the rigors of the trails is a 2016 Ram 2500 sporting the 6.7L Cummins engine that we loaded with a host of products from our new found partner, American Expedition Vehicles, or AEV. Specifically, this Ram is running AEV’s 3″ DualSport SC Suspension System, 17″ Katla Wheels, Premium Front Bumper, and their soon-to-be-released fender flare kit to allow clearance for the massive 40″ Nitto tires we are running under this beast. Not only did this Ram easily and safely haul an enclosed trailer loaded with a Jeep and tons of gear all the way from Spokane, Washington to Moab, Utah, but has been tearing up the rocks and sand with only adjustments to the tire pressure. As EJS16 comes to a close at the end of this week, we will be sure to update with more action shots so you can really get a feel for what Easter Jeep Safari is about, and how a well equipped Ram can truly keep up with the best Jeeps out there on the trails, yet still be able to work like a truck is intended to. To see the full range of AEV products for your Ram, click HERE. And to see the full lineup of products for your diesel powered truck, check us out at www.dieselpowerproducts.com. Made specifically with medium or large logistics outfits, but also applicable to companies in the Service and Towing field, Fleet Management Software (FMS) is almost a requirement in today’s trucking world in order to stay competitive. FMS helps logistics and shipping companies to maximize their fleet utilization through proactive tracking, routing and data reporting. We looked back at some of the software available just 5 years ago and, suffice to say, newer FMS solutions in 2016 are truly exceptional thanks in part to better available technology and a healthy, competitive market. In this post, we’ll review 5 of the latest popular solutions employed today by top trucking and logistics companies. Networkfleet is one of the more widespread fleet management software programs in use today. Thanks to Verizon’s vast network of satellites and wireless towers as a foundation to their patented telematics solution, it enables companies as close to real-time control over their fleets as anything else on the market today. While the dashboard interface is somewhat confusing it does cover all the functional needs with mileage monitoring, fuel use, emergency or down-time indicators and any diagnostics codes. Their maintenance scheduling application is interactive and does alert driver of the date and time of any maintenance check-up which is not found in most other applications. A great solution for those on a budget, Prophesy Dispatch has been around since 2006 and costs about between $80 and $90 / month depending on a “Broker” or “Broker and Carrier” status (c. 2016). In that time they’ve developed a loyal base of customer thanks to an “everything’s there” application, including regulations management. While again, support is lacking to business hours, we’ve found that they do respond consistently with 24 hours and do have solid online training program in place for new users. In addition to quick real-time monitoring of truck status, we found the dashboard to be highly intuitive. Any duplicate date seemed to carry over to other transactions(which is sorely needed in overseas transactions where duplicate documents are a miserable requirement), making BOL documentation a breeze. Overall a great value solution for both domestic and international truckload carriers, freight brokers, and also LTL carriers. Click here for the Prophesy Dispatch software costs and payment schedule. 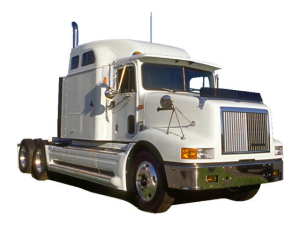 Used in the trucked industry since the 2001, Quartix Fleet Tracking is a US specific web-based logistics tracking product that utilizes patented GPS tracking devices and telematics. Weighing only 2 ounces, the device is installed by Quartix and is used for routing optimization and fleet tracking and is sufficiently robust for long term use – they claim to have “redundancy” built into their servers and databases to limit downtime . Unfortunately, the software does not have, nor plans to have integrated dispatch capabilities, but for around $20 per month plus installation, what more can you ask for a real-time tracking software.Any fuel indicators tracking are based on logs or averages input by the management team or by the drivers and are not live. Overall a great product for peanuts per month. Unfortunately for a the modular, fully integrated solution that most larger logistics companies would want, the lack of long term functionality will be a concern. Telogis is a company that provides a software solution for managing your entire fleet of vehicles that goes far beyond simple GPS tracking. It is a web-based solution, one that can be scaled very easily to accommodate the growth of your business. It is also designed to integrate with any type of business, and can help with dispatching and also payroll. Regular maintenance of vehicles is also incorporated into the software, making sure that your fleet is always updated and repairs are made when necessary. 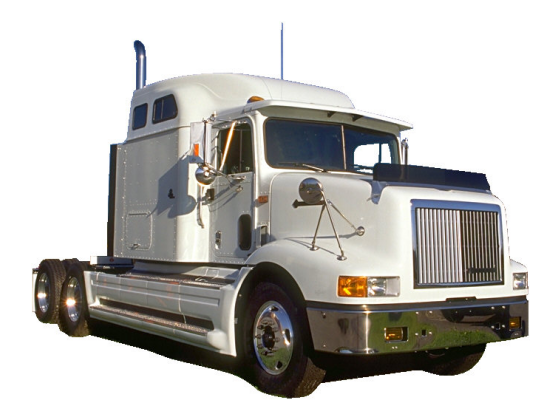 A common complaint of the service is the downtime experienced with the GPS tracking units. While Telogis will replace units free of charge, any downtime can costs much more than simply installation costs. RTA is a small software company that offers a complete Fleet Management solution at a great price. As a scalable application RTA functions well with large organizations, and offers a suite of applications that can help you maintain high production and safety levels. It includes asset management, work order management, and can also help you manage your inventory. It is designed to help companies reduce overall liability, improve efficiency, and help reduce the cost of fuel usage. Built on an older platform there are minor issues with redundancy in entry and it does not offer a dispatch module. However, the training is top-notch and the customer support is solid. As of 2016 they are on release 7.0 and are consistently updating their product to match customer requests. All of these software solutions, whether they are on your computers at your place of business, or if they are utilized online, can help you run your business much more efficiently. They all come with a multitude of different options, all of which are designed to help you manage your fleet of vehicles while they are on the road, and also schedule regular maintenance so that you are never surprised by intermittent breakdowns which could cost your company money. Visit each of these websites to find out which one will actually work best for your business. The key to making sure that your fleet of vehicles is operating at optimal levels, and that your business is generating the most revenue, is to always use state-of-the-art fleet management software programs. Heavy-duty trucks are large like the heavy dump trucks and concrete pump trucks and capable of transporting huge weights of cargo. 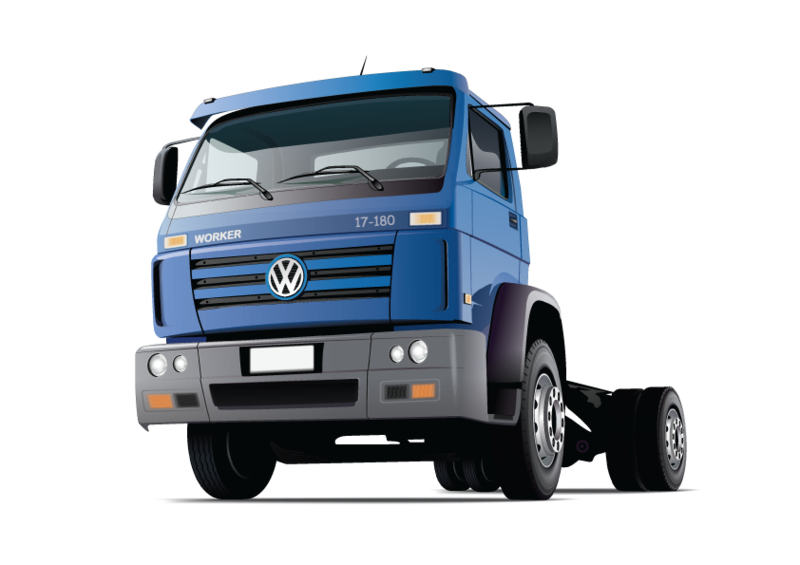 These trucks are a very important leg in the transportation industry as they are movers of large quantities or products or materials no small vehicle can do on land. 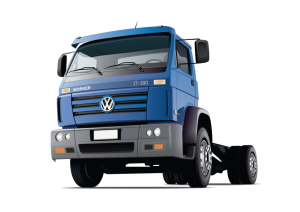 There are many uses of these trucks including towing and moving houses, delivery and transport and recovery of disabled and stranded vehicles. Towing: Business owners, companies and government agencies that use a large number of vehicles to operate more often have their own towing services to move vehicles when they get disabled on the road. They are the school bus companies, package couriers, police and fire departments, garbage collectors, taxi companies, bus companies, the automotive industry and the farm industry. Moving: A heavy duty truck come in-demand when you change your home location and you need to bring everything with you. Large appliances, all pieces of furniture, and all! It can stand all the weight because one is able to transport more than the combined weight of all your home belongings. Moving a tiny house is also easy using a truck. Hauling: Do you need to pull or transport something heavy over a long distance? You need a heavy duty hauling truck. It is equipped with a heavy-duty hook & chain made for hauling heavy objects. Starting building contractors without owned hauling trucks could find these trucks from Chemomemtum for many of their necessities in construction. You can rely on the truck’s reputation of its ability to lift, pull and load heavy materials. Delivery/Transport: Soft drinks & beverages, and liquors & beers are transported by heavy duty trucks contained in long delivery trailers with roll-up doors. They travel long distances and arriving in destinations with products in good condition. 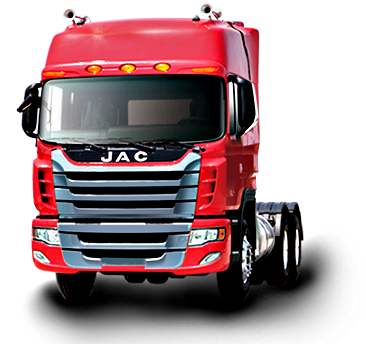 Groceries and other products from the manufacturers’ plants are delivered using these trucks also. Animals in cages are loaded in trucks to transport them. In what size of a truck can an elephant fit in or what kind of truck can tow a trailer with this huge animal? It must be a heavy duty truck! Garbage Collection & Recycling: Garbage trucks or trash trucks are specially built to collect garbage and haul it to a landfill or to a solid waste incineration facility. There are a few types of this truck. The front loader, rear loader and the side loader; well it tells where each would load the waste collected. The catch is – they are heavy duty to be able to do such heavy work continuously. 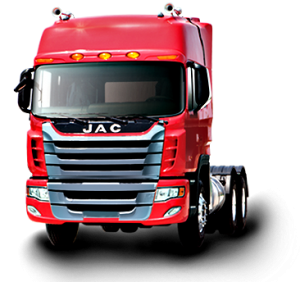 Reliability of the truck equates with lesser time and cost to transport. You don’t need many trips because the truck can accommodate that much load without breaking down on the road. Less likely if you use smaller trucks. Work can be accomplished in time or earlier than programmed. Labor cost is minimized. Saving in time, fuel and labor cost is an advantage to a business owner these days that all prices keep skyrocketing.